The accounting rules for reporting stock compensation have been expanded. They now include share-based payments to nonemployees for providing goods and services, under recent guidance issued by the Financial Accounting Standards Board (FASB). Under existing U.S. Generally Accepted Accounting Principles (GAAP), the FASB requires businesses that give stock awards to independent contractors or consultants to follow a separate standard from the one used for employee stock compensation. The counterparty’s performance is complete. This requires judgment and tracking issues that have led to inconsistencies in financial reporting, especially if nonemployees are awarded stock options on a one-by-one basis, rather than a single large grant. 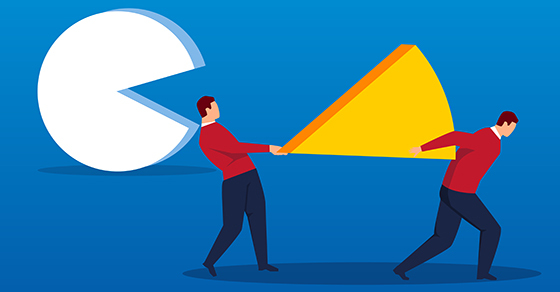 The FASB originally chose to apply different stock compensation guidance to nonemployees because independent contractors and consultants were perceived as having significant freedom to move from company to company. In theory, independent contractors could watch stock price movements to determine where to work. However, the FASB now believes the assumptions behind the dual standards were overstated, because full-time employees also have the freedom to move from job to job. In June 2018, the FASB issued Accounting Standards Update (ASU) No. 2018-07, Compensation — Stock Compensation: Improvements to Nonemployee Share-Based Payment Accounting. It eliminates the separate guidance for stock compensation paid to nonemployees and aligns it with the guidance for stock compensation paid to employees. Under the aligned guidance, all share-based compensation payments will be measured with an estimate of the fair value of the equity the business is obligated to issue at the grant date. The grant date is the date the business and the stock award recipient agree to the terms of the award. Essentially, compensation will be recognized in the same period and in the same manner as if the company had paid cash for goods or services instead of stock. The guidance doesn’t cover stock compensation that’s used to provide financing to the company that issued the shares. It also doesn’t include stock awards tied to a sale of goods or services as part of a contract accounted for under the new-and-improved revenue recognition standard. The updated standard is effective for public companies for fiscal years that begin after December 15, 2018. Private companies have an extra year to implement the changes for annual reports. Early adoption is generally permitted, but businesses aren’t allowed to follow the changes in ASU No. 2018-07 until they’ve implemented the new revenue recognition standard. Contact us for more information. For example, point out that, for every $100 of pay they defer to the 401(k), the entire $100 is invested in the plan — not reduced for taxes as it would be if it were paid directly to them. And any employer match increases investment potential. At the same time, make sure employees know that your 401(k) plan operates under federal regulations. Although the value of their accounts may go up and down, it isn’t affected by the performance of your business, because plan assets aren’t commingled with company funds. Like most businesses, you’ve probably experienced a significant increase in the number of customers who prefer to make cashless payments. And you may be wondering: How does the acceptance of these types of transactions affect the auditing of your financial statements? 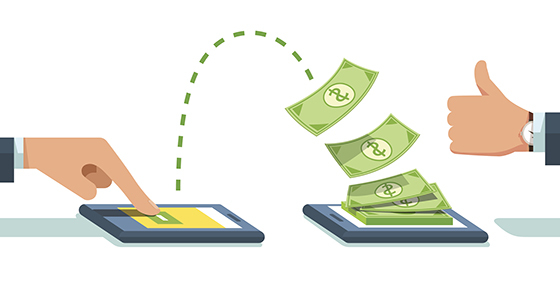 Cashless transactions require the exchange of digital information to facilitate payments. Instead of focusing on the collection and recording of physical cash, your auditors will spend significant time analyzing your company’s electronic sales records. This requires four specific procedures. Payments via intermediaries (such as PayPal). Be prepared to provide documents detailing how the receipt of cashless payments works and how the funds end up in your company’s bank account. Your auditors will request a list of employees involved in the receipt, recording, reporting and analysis of cashless transactions. They will also want to see how your company manages and monitors employee access to every technology platform connected to cashless payments. Evaluating who handles each aspect of the cashless payment cycle helps auditors confirm whether you have the appropriate level of security and segregation of duties to prevent fraud and misstatement. Auditors will review prior sales reconciliations to test their accuracy and ensure appropriate recognition of revenue. This may be especially challenging as companies implement the new accounting rules on revenue recognition for long-term contracts. Auditors also will test accounting entries related to such accounts as inventory, deferred revenue and accounts receivable. Cashless transactions create an electronic audit trail. So, there’s ample data for auditors to analyze. To uncover anomalies, auditors may, for example, analyze sales by payment vehicle, over different time periods and according to each employee’s sales activity. If your company has experienced payment fraud, it’s important to share that information with your audit team. Also tell them about steps you took to remediate the problem and recover losses. Before we arrive to conduct fieldwork, let’s discuss the types of cashless payments you now accept — or plan to accept in the future. Depending on the number of cashless methods, we’ll amend our audit program to review them in detail. Many companies, especially those that operate in areas prone to natural disasters, should consider business interruption insurance. Unlike a commercial property policy, which may cover certain repairs of damaged property, this coverage generally provides the cash flow to cover revenues lost and expenses incurred while normal operations are suspended because of an applicable event. Notify your insurer immediately. Contact your insurance rep by phone as soon as possible to describe the damage. If your policy has been water-damaged or destroyed, ask him or her to send you a copy. Review your policy. Read your policy in its entirety to determine how to best present your claim. It’s important to understand the policy’s limits and deductibles before spending time documenting losses that may not be covered. Receipts for rental payments, if you move your business to a temporary location. 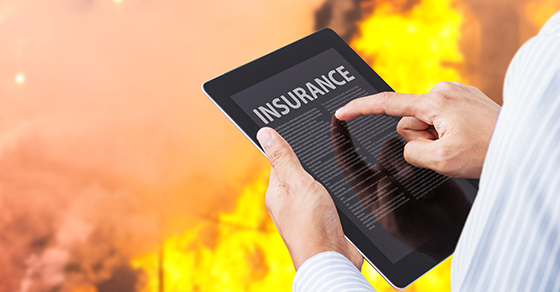 The calculation of losses is one of the most important, complex and potentially contentious issues involved in making a business interruption insurance claim. Depending on the scope of your loss, your insurer may enlist its own specialists to audit your claim. Contact us for help quantifying your business interruption losses and anticipating questions or challenges from your insurer. And if you haven’t yet purchased this type of coverage, we can help you assess whether it’s a worthy investment. 2. Mortgage interest deduction. 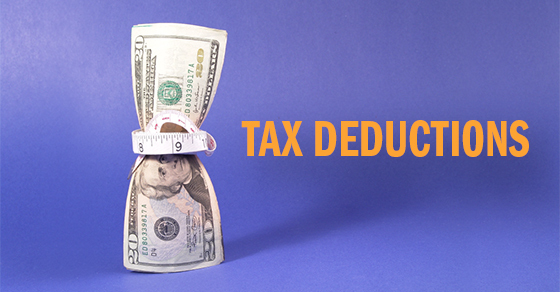 You generally can claim an itemized deduction for interest on mortgage debt incurred to purchase, build or improve your principal residence and a second residence. Points paid related to your principal residence also may be deductible. For 2018 through 2025, the TCJA reduces the mortgage debt limit from $1 million to $750,000 for debt incurred after Dec. 15, 2017, with some limited exceptions. © 2019 Aguiar Cabrera Maceo & Co., LLP All Rights Reserved.